Soaking in our baths after a long, tiring day is definitely a habit we cannot kick. Especially in Japan, where apart from the bathtubs that can be found in almost every household, we also notice hot springs, public baths, foot baths, and many other facilities where we can take baths outside. 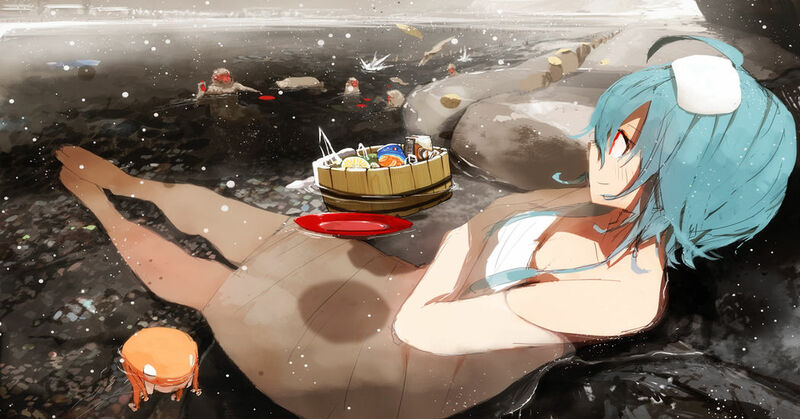 Today, we have a Bath x Girl special featuring many characters taking a long dip, fully enjoying themselves! Why don't you sit back in your bath as you enjoy this too? Naked with a Bath Towel! !